Most people agree that Wes Anderson’s first three features (Bottle Rocket, Rushmore and Royal Tenenbaums) are great, but feel that his latter work is all style and severely lacking in substance. While some (like me) feel that all of his work is of the same high standard and that his unique style sets him apart from pretty much every other director working today. Needless to say Moonrise Kingdom had a lot riding on it with huge expectation from the believers and naysayers a like. In my opinion the film more than delivers on these expectations. It has everything we’ve all come to expect from a Wes Anderson picture plus a whole lot more. The addition of Bruce Willis, Frances McDormand, Harvey Keitel, Ed Norton, Tilda Swinton and the two young leads adds a great new dimension to the regular cast members of Bill Murray and Jason Schwartzman (although I have to admit that I missed the presence of a Wilson Brother). Unlike Wes’ other films this was a lot more plot driven than character in my opinion and it was nice change, some people have criticized the final act and have stated that the films tone is a little erratic. I don’t see it, maybe I’m blind with bias for all Wes does (I say maybe but mean definitely) but I loved the final act, it was so over the top and yes it shifted in tone from the rest of the film but I like it when a film keeps me on my toes! As you would expect his usual visual flair and style is on full show, I feel it’s become a redundant topic with his films now, he has his style, you either like it or you don’t. I LOVE IT! So yea in summary, I loved Moonrise Kingdom, it is by far the best film I have seen in 2012 (I think To Rome With Love and The Dark Knight Rises may give it a run for it’s money however) and I would advise you all to go and see it as soon as you possibly can before it leaves cinema’s! The Live Aquatic is the other Wes Anderson film that seems to generate a lot of hate, well I’m here to defend it! The Life Aquatic with Steve Zissou is a hilarious Adventure Comedy starring Bill Murray on top form as the the titular Steve Zissou. 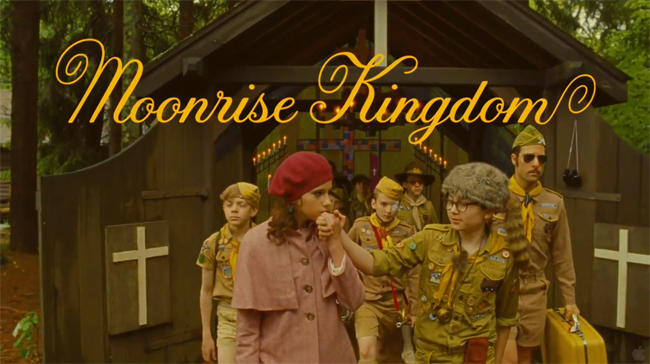 As you have probably guessed by now I am a huge Wes Anderson fan, I love all of his films and get extremely excited when a new film of his is announced (see my Moonrise Kingdom post for further evidence). So this week I already watched The Darjeeling Limited and as the Moonrise Kingdom trailer has been released I felt in the mood for some more Anderson action. In my opinion the Life Aquatic is his funniest film, mainly due to the fact that it features Bill Murray’s most prominent role in a Wes film. Murray’s pitch perfect dead pan delivery is a perfect match for Anderson’s writing style and to be honest I will never understand how anyone can hate something that has Bill Murray in it, the man just has funny bones, he oozes comedy at of every part of his being. He is hilarious. Having said that I don’t want to forget Willem Dafoe, he is brilliant as Klaus the “B squad leader” who’s childish jealousy of Steve’s supposed son Ned Plimpton (played by Owen Wilson) is both touching and amusing in equal measure. Everything about this film is top quality. The set’s, costume’s and especially the music. One of my favorite parts of the films is at the end when Steve and Ned have been arguing over Jane (Cate Blanchett) and they walk through the whole ship talking, as they do they are follwed in a single tracking shot and we see every member of the crew just going about their duties. It’s a great shot. I really love this film and I am certain that time will be very kind to it. 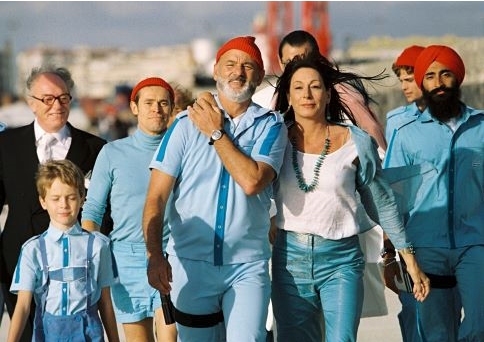 I’m sure in years to come people will look back and spend time trying to figure out just how/why The Life Aquatic with Steve Zissou didn’t receive the appreciation it deserves in it’s own time.